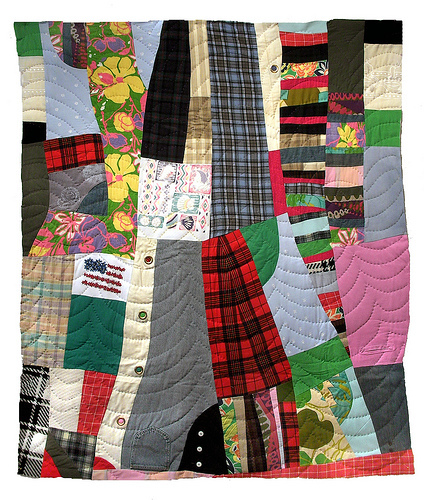 Since 2002 Sherry Lynn Wood creator of Passage Quilting has helped people work thru their grievances by the craft of quilt making. Utilizing recycled textiles Passage Quilting is an active, hands-on, therapeutic process for working through life transitions. 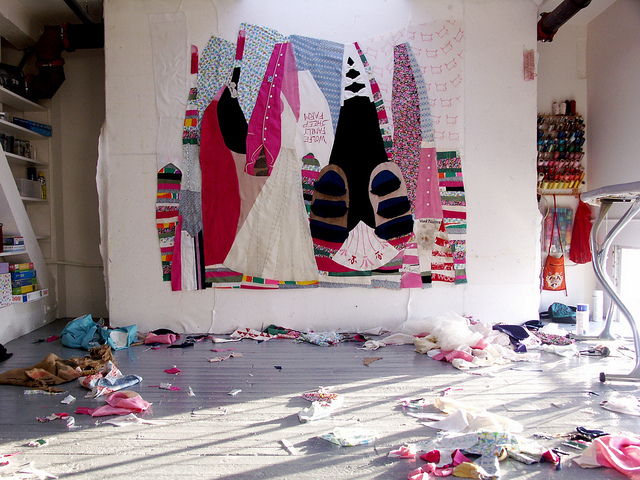 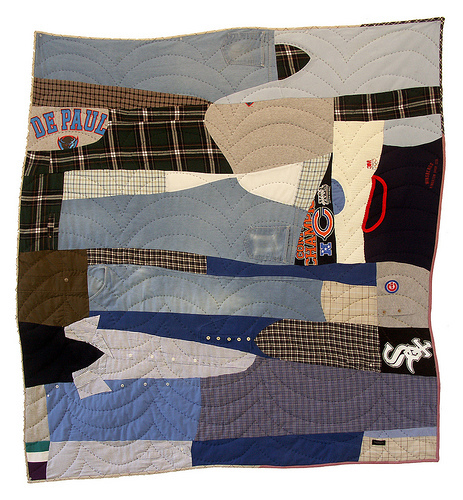 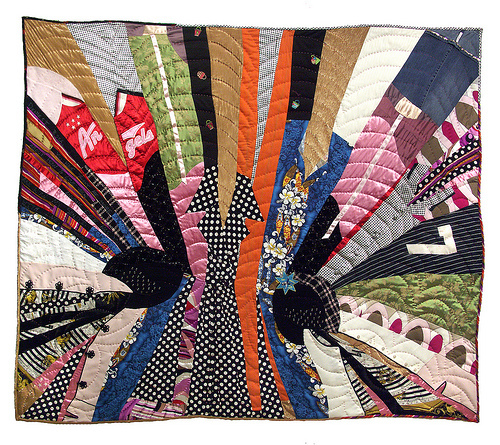 "Beginning with the architecture of the clothing, these quilts are pieced without a predetermined pattern. 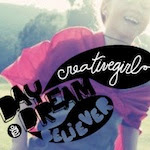 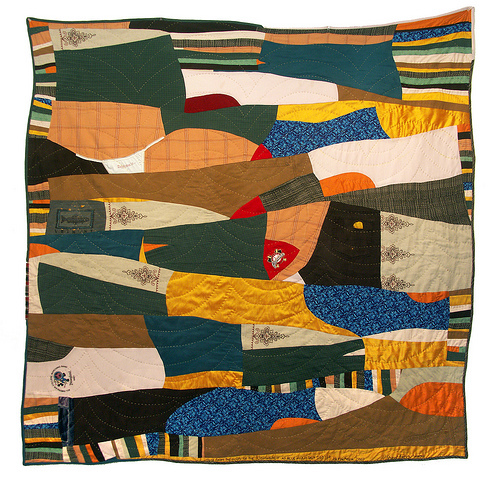 This process provides the maker an opportunity to examine his or her life patterns. 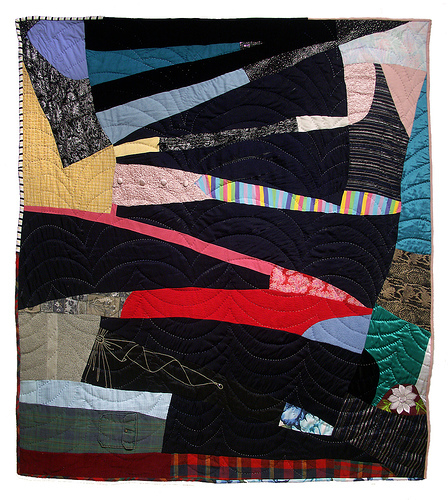 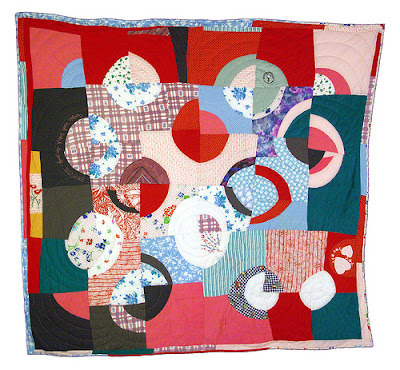 The resulting quilts reflect the relationship of the maker to the materials, retain a sense of the body, and in the case of bereavement, carry the consoling essence of the beloved." The quilts are really beautiful. Sherry also has a wonderful blog.